Exquisite round eternity band is an ideal travel and everyday piece. Stones are meticulously hand faceted and set as the finest estate diamonds for unparalleled light refractivity. Each stone is approximately .25 carats, and each stone is held by four prongs for added security. 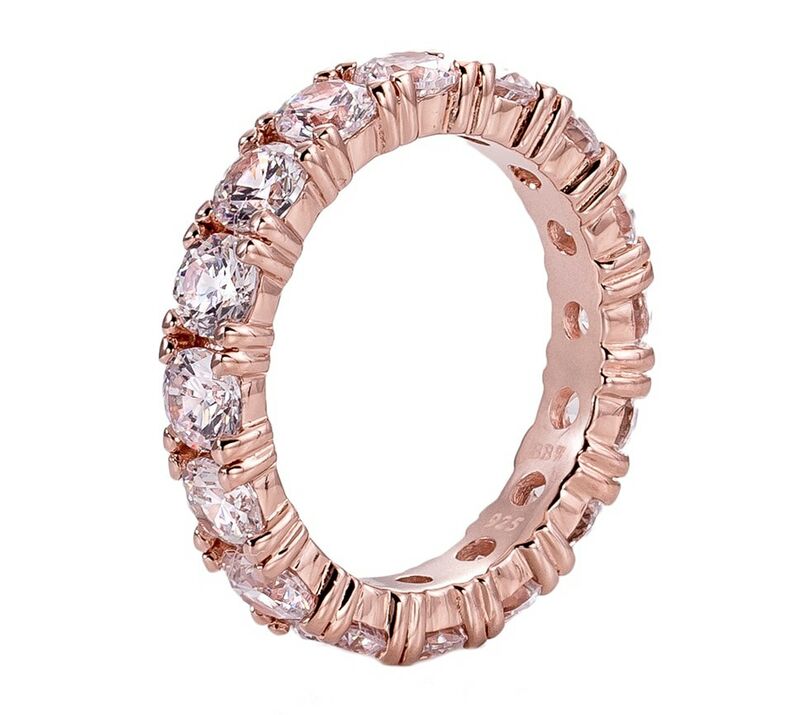 Bling by Wilkening rose gold plating is four times thicker than the industry standard to ensure unparalleled quality and durability. Ring looks exquisite stacked with two or three rings of this style, or with our 5mm Round Eternity Band or Emerald Cut Eternity Ring Band. 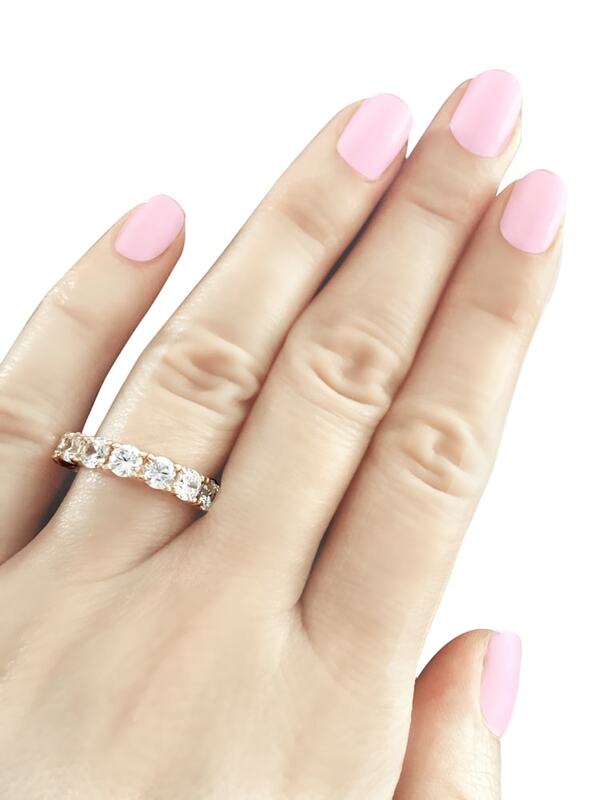 When stacking two or more rings together, we suggest selecting one size larger in both ring styles. Please view additional image of ring shown on model. Ring is available in sizes 4.5, 5, 6,7,8. Ring will come packaged in a beautiful organza bag with enclosure card, inside of a silver gift box with satin lining and bow. 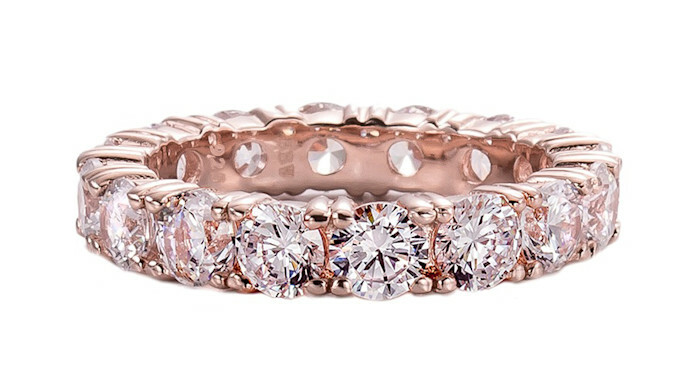 Most Bling by Wilkening rings are available in sizes 4.5,5,6,7, and 8. Please include your size in the comments box at checkout. If you require an additional size not listed, we offer a customized sizing service. For more information about this service, please contact the Gallery. Get the inside story behind Diana's paintings AND access to special offers when you join. Receive a coupon code for one FREE Madaras Print (image size: 9x6.75”) with a purchase of $35 when you sign up to join our email community! Select from more than 100 images. We don't share your information with anyone!